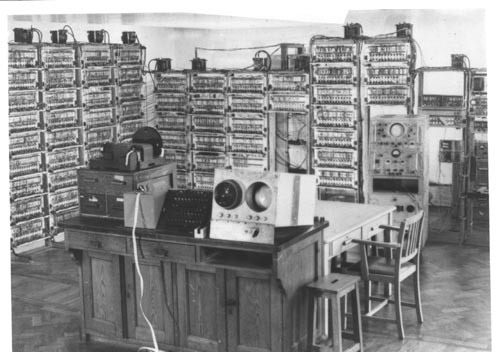 B&W Image of MEG computer. In center foreground is a table with a papertape machine, a switch console and a cabinet with two cathode ray tubes. Behind is a table with a chair. In the background are the electronic cabinets.